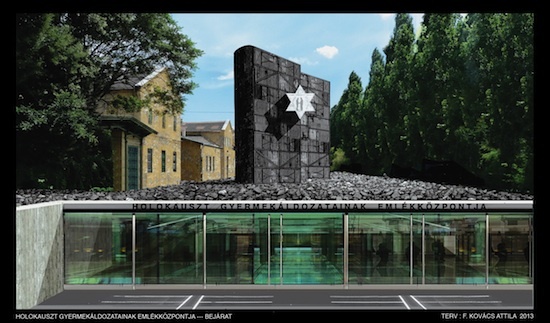 Tablet Magazine published my article last week about plans for a controversial new Holocaust memorial museum in Budapest. It was a real pleasure to work with Tablet’s editor for the piece, Allison Hoffman. The article prompted a lot of interest and feedback — it’s a complex and very fraught situation, and I am very pleased that people praised it for being “measured,” “insightful,” and “objective”! The facility, which is to combine a permanent exhibit with an interactive learning center and other services, will be a centerpiece of a nationwide effort to mark the 70th anniversary of the Holocaust in Hungary, but almost ever facet of the project has come under criticism or question. The Hungarian author György Konrád is arguably one of the best-known child survivors of the Holocaust. By a stroke of luck he narrowly avoided being deported to Auschwitz in 1944 along with the Jews of his hometown, Berettyóújfalu, in eastern Hungary. He, his sister, and two cousins survived the war in a Swiss-protected Budapest safe house. His parents, who had been deported to Austria, also survived and were reunited with their children in Berettyóújfalu after the war—the only Jewish family from the town to survive intact. This entry was posted in Articles, Publications and tagged Budapest, Holocaust, Hungary, museums, Tablet Magazine by Administrator. Bookmark the permalink.